In continuing with our December flashback posts from early in the days of this blog, here is a post from almost exactly one year ago – December 21, in fact — that has received fairly consistent traffic throughout the year. 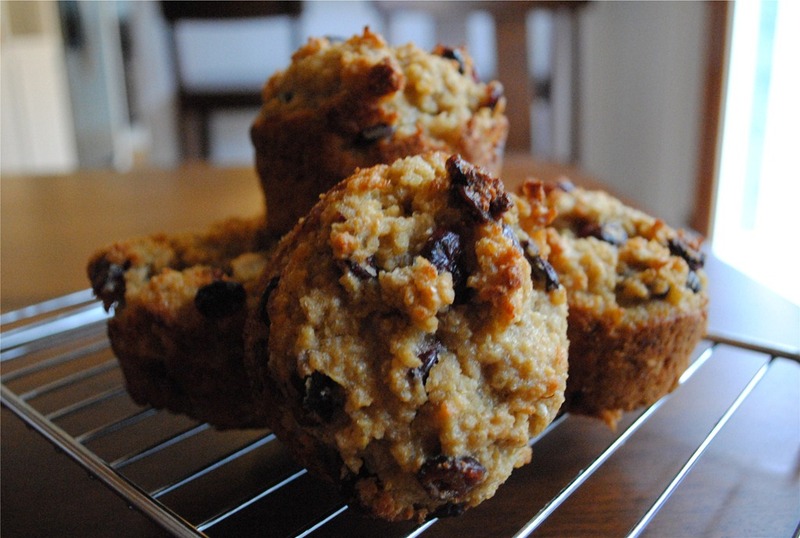 These muffins are very filling and tasty to boot! As the click ticks down to the end of the year, I hope you are having a wonderful holiday season! You might recall 2Chili and I have a running joke about quinoa, whereas I say it is very mainstream, and he questions the stream in which I’m standing. You might also have figured from yesterday’s interview that 2Chili has quite a sense of humor, and he asked me to eliminate quinoa from our pantry. Not gonna happen, buddy. I had never tried quinoa until this year, and I absolutely love it. It’s a complete protein, which is awesome for a grain, and, its nutty flavor provides a unique replacement for rice, oats, or flour. 2Chili isn’t keen on it, but he at least knows to pronounce it keen-wah. If you want a way to introduce quinoa to your family without them really knowing it, try using it in a baked good. 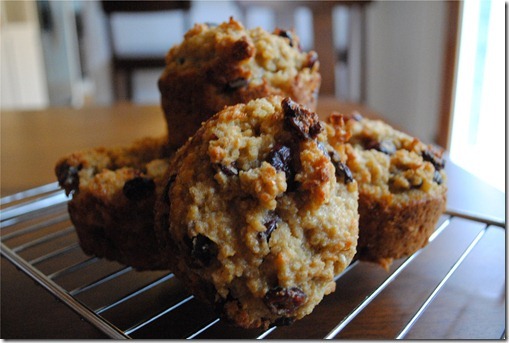 These muffins, adapted from Martha Stewart, might just do the trick! 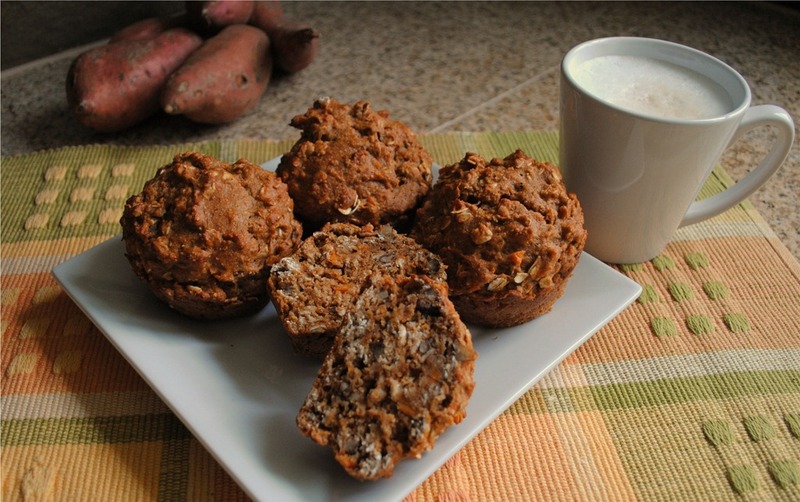 If you’re entertaining house guests for the holidays, perhaps whip these up for an easy breakfast. Odds are your guests will have never had a quinoa muffin before, and you’ll have built-in breakfast conversation about the ancient grain. 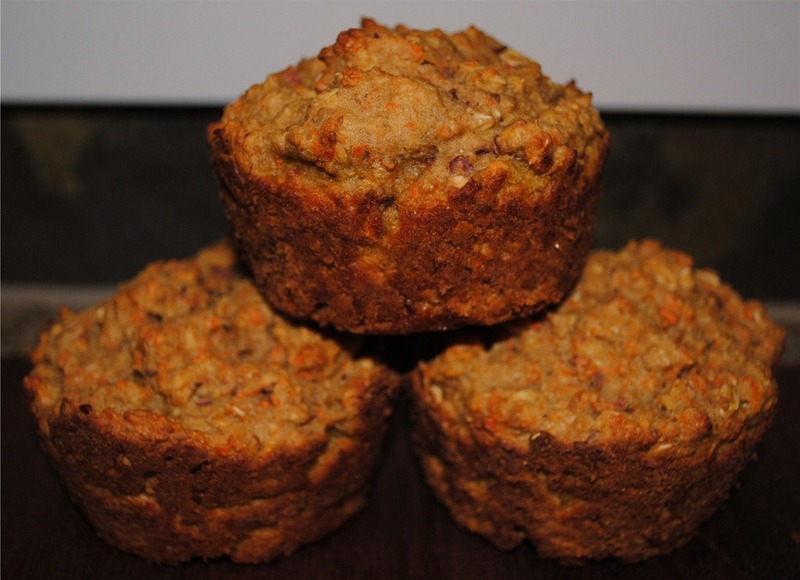 The muffins are pretty hearty and a mix of slightly sweet and savory. 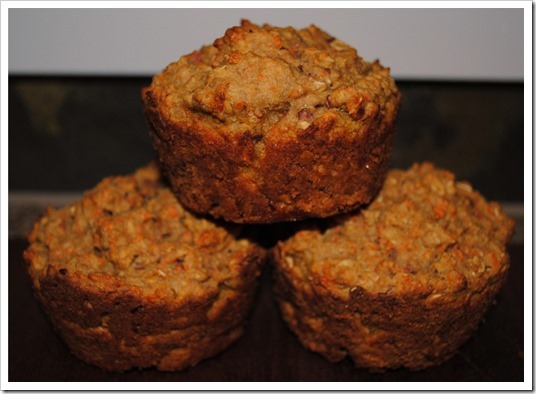 Jumbo-sized muffins are a meal in themselves, and perfect for an on-the-go breakfast replacement for your normal bran muffin or breakfast bar. 2Chili’s Taster Rating: Even though he really isn’t crazy about quinoa, he tried these without me even asking, and rated them “not bad.” He didn’t provide a star rating, but if I was to translate, I’d say that means it’s probably about a 3 out of 5 in his book. I’ll definitely make these again. I reduced the amount of sugar and oil in the muffins from the originals, and halved the called-for salt, but left the baking powder alone to help with the sodium content, and I think the end result was tasty and healthy, so that’s a win! 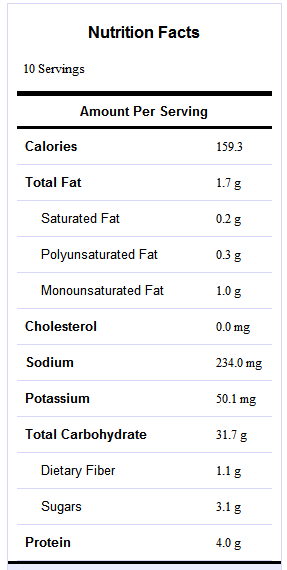 Lastly, I used agave as the sweetener, but think honey would probably be better, and is much easier to find. 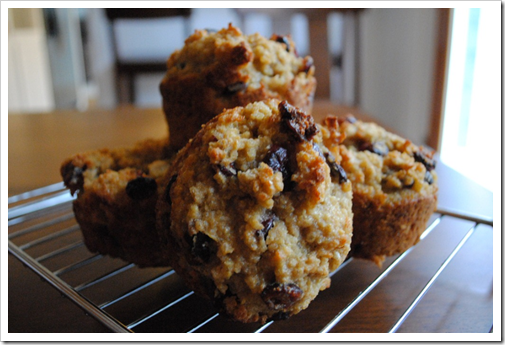 Happy baking, and perhaps after having these muffins you’ll find yourself saying that quinoa is very mainstream too! As much as I rib 2ChiliBreadBowl for his interesting “food groups,” there was a time in my life when I treated bagels as a food group. 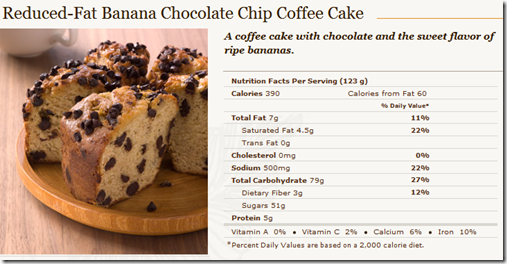 I have definitely balanced out my nutritional habits – but there is still a place for bagels within that balance. After all, they are substantial, portable, and, delicious as all get out. As a side note, one of my more favorite bagel uses is for French toast. Slice up your favorite bagel, dip it in some egg, and cook it like you would normal French toast. Sprinkle with a little powdered sugar, or drizzle with honey or pure maple syrup, and devour. Meantime, here’s an easy bread-machine bagel you can modify to fit your tastes. 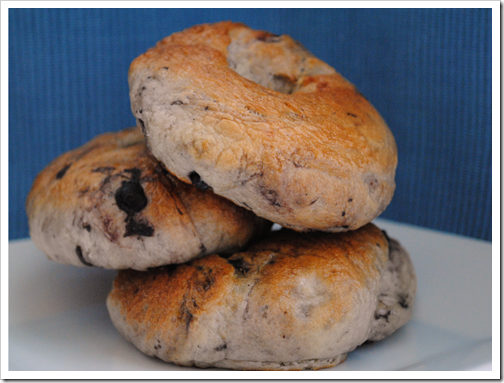 I like to make these as blueberry, cherry, or cinnamon raisin, but you could go savory as well. 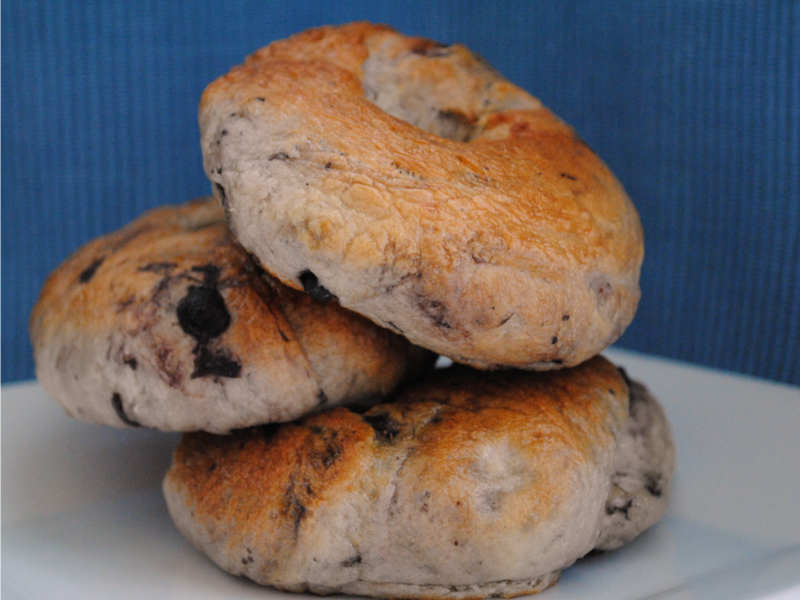 (Between homemade Lara Bars and bagels, you now see why dried blueberries and cherries are always in my food list for Project: Food Budget). Making bagels is really very easy, especially if you let the bread machine do all the heavy lifting. These remind me a lot of the type of bagel you’d get from a street vendor in New York City (a mandatory purchase whenever I’m there) – they are hand made, not factory made, so they’re each unique and not quite as dense as a Sara Lee or Lender’s bagel. Yesterday when I made these, 2Chili couldn’t even wait for them to cool before having one. Note: Bagel making purists would say to roll the dough and pinch it together in a circle to make the bagel, whereas this recipe employs flattening a rolled up ball. I seem to find rolling into a ball easier than the pinching method, but do what works for you. As we know, 2ChiliBreadBowl and bread go hand in hand. So, when I find interesting new ways to prepare his daily bread, I am happy to test them out. Ever since I figured out to mix and let dough rise in the bread maker and cook in the oven, I have been pretty successful with new bread creations – 9 times of out of 10 they are a hit, and these soft knotted rolls were definitely a hit. Reminiscent of a crescent roll, they instill much more of a sense of accomplishment than rolling out some premade dough. Which, by the way, I could never seem to get into the proper shape anyway. I have always been geometrically-challenged, so perhaps that was the problem – I couldn’t unlock the code on how to make an oddly-shaped triangle into a crescent, which apparently should be so easy even a fake talking dough-boy can do it! If you share my geometric challenges, I can confidently state that you will have no problems with these rolls. They require tying a knot, but no awkward triangle rolling. And, they are dee-lish-ious. 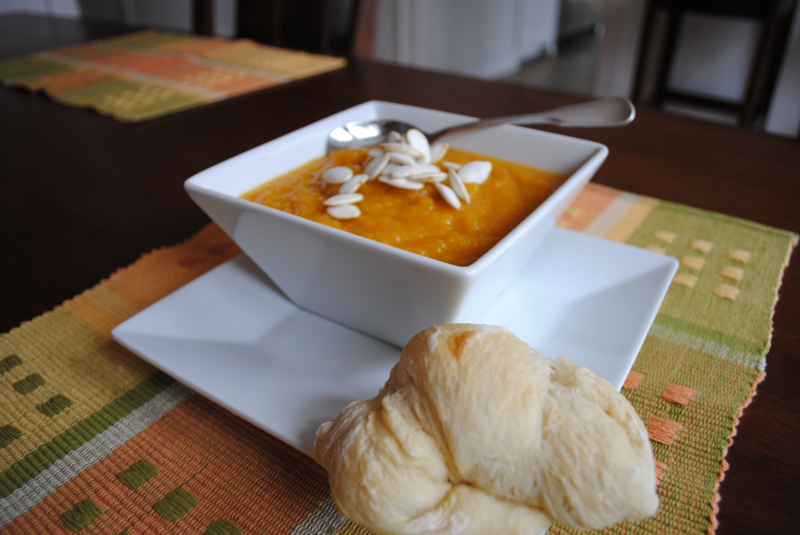 By the way, that is some of the Butternut Squash Soup I wrote about over at Cheap Healthy Good. Original Recipe/Inspiration: The inspiration was a recipe from King Arthur Flour for garlic knots, but I went a slightly different route with them, making them a little sweet instead of savory. We both agreed these are tasty and worth making again. They are soft and only slightly sweet, and if you spread a little Nutella on them, they taste like a chocolate croissant! The way to 2Chili’s heart is undeniably through his sandwich. In fact, I distinctly remember a tweet he put out a while back before a vacation we took to the east coast expressing his joy to have found a town of Sandwich in Massachusetts. The boy loves bread. 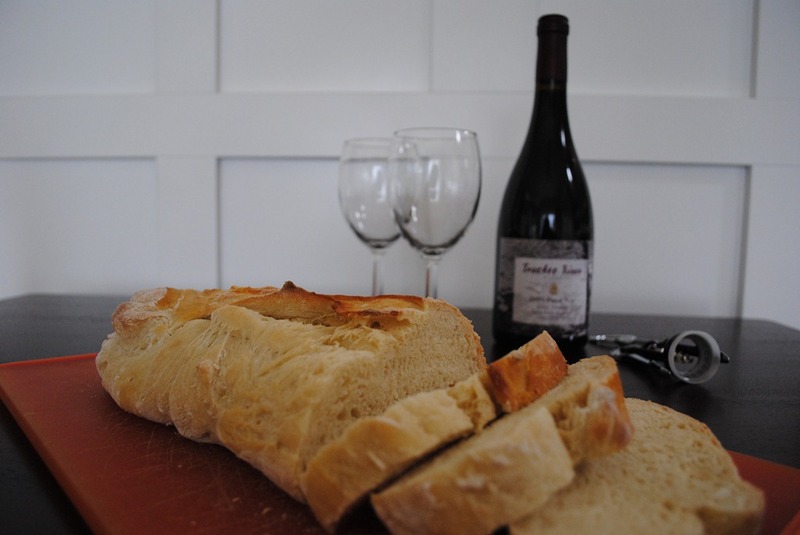 So, when I started changing our diet, one of the first places I focused was bread. I started looking at labels, and wouldn’t you know it, that sneaky high fructose corn syrup turned up in just about every bread product in our house. Determined to provide the most basic staple for my sandwich-lover, I bought a bread machine, and went to work. I cannot tell you how many rock-hard, bland, or just plain gross loaves of bread I turned out. The birds in our neighborhood made out like bandits (shhh…don’t tell anyone I fed the birds). It seemed no matter the recipe, I could not get a good loaf of bread out of a bread maker. And, 2Chili never quite warmed up to that weird hole at the bottom from the little mixer thingy. Then I read a tip that changed everything. Everything! Thank you, whoever you are, who made a comment on an allrecipes.com bread recipe stating that you use your bread machine to mix the dough and let it rise, but prefer to bake it in the oven. Genius, I tell you. Once I started employing that handy little trick, I was turning out delicious homemade bread. Why is it that my bread maker cannot turn out a good loaf of bread? I mean, it’s name is Bread Maker, which would imply that its sole job is to make bread. Oh well, that’s water under the bridge at this point. Mr. Bread Maker and I have been living in harmonious accord ever since this discovery, and here is the bread that has 2Chili coming back for more. Enjoy! Serves: Makes one loaf. 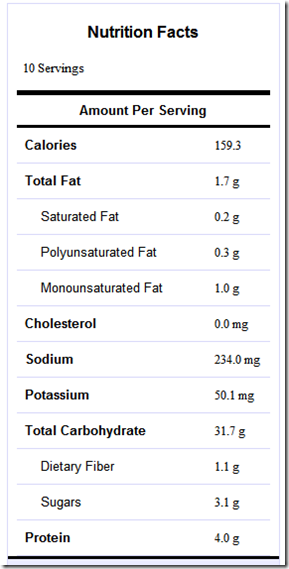 The amount of servings varies based on how big you cut your slices. We do about 3/4 to 1 inch thick slices, and get somewhere between 14-16 slices per loaf. When the dough is done, remove it from the machine and roll it out onto a lightly floured surface. I sometimes use a little bit of flour dusted around the edges of the pan to help get the dough out. It won’t keep its shape, so don’t try to make it retain its shape. While the oven is preheating, roll the dough out into the shape of a French loaf and place onto a lightly sprayed cookie sheet– it doesn’t have to be perfect! The Verdict: Ever since I figured out the “bake the bread in the oven” trick, I have been on on retainer to keep this bread fully stocked in our house. I have tried it numerous ways, including with whole wheat flour, pastry flour, white whole wheat flour, and I have to say, the only way it is really, really good, is with un-enriched white flour. 2Chili calls this the best bread ever. I’m not sure if that’s really the case, but it is pretty delicious, and nary a drop of high fructose corn syrup to be found! Also, it should be noted that when I have tried making this exact recipe by letting the bread machine do the work, it comes out pretty blah. So, cook it in the oven!